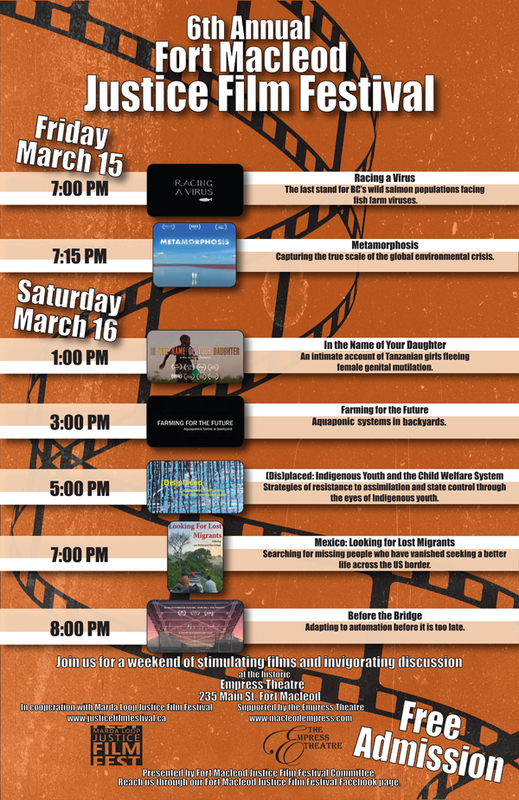 The sixth annual Justice Film Festival at Fort Macleod’s Empress Theatre will bring a number of intriguing and compelling films to town on March 15 and 16, 2019. In cooperation with Calgary’s Marda Loop Justice Film Festival, the Fort Macleod festival will feature seven documentaries, followed by discussions led by community members who have an interest in or academic knowledge of each subject. 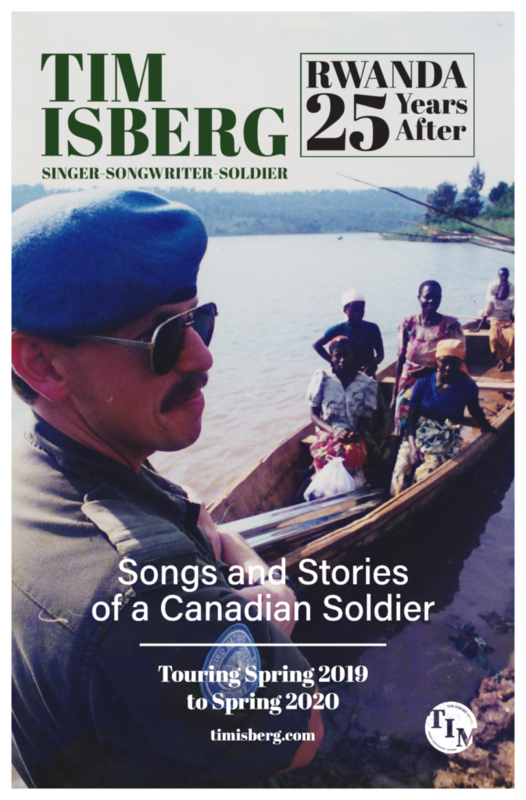 The documentaries highlight issues that are important to people as individuals, Canadians, global citizens, and humans. The last stand for BC’s wild salmon populations facing fish farm viruses. Capturing the true scale of the global environmental crisis. An intimate account of Tanzanian girls fleeing female genital mutilation. Aquaponic systems in our back yards. Strategies of resistance to assimilation and state control through the eyes of Indigenous youth. Searching for missing people who have vanished seeking a better life across the US border. Adapting to automation before it is too late. For more information about the festival, please visit the Fort Macleod Justice Film Festival’s Facebook page.